Let’s talk about every day fashion. I’m referring to those days where you need to relax, run errands and complete the basic functions of everyday life. My go-to outfit for days spent at the grocery store is a band graphic t-shirt, comfortable jeans and sneakers. I will link everything, or similar items, in the description below! Let me know what you wear on your “errand days”. Outfit Details: J. Crew Jeans (similar), Guns ‘N Roses top (similar), Flannel (similar), bandanna (similar), Converse. 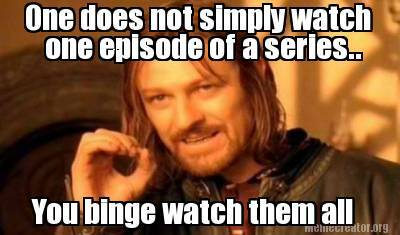 Let’s talk about binge watching. It can be done at the pool, on the couch, while running on a treadmill, or while eating popcorn in bed at home. Here are (in my biased opinion) the best TV shows to binge watch this summer. Master Chef/Master Chef Junior – Delicious food, competition, and Gordon Ramsay? Count us in. If you want a little more drama in your day I’d stick to the original Master Chef. On the other hand, MC Junior brings the adorable backstories and kids who have loads of ambition, drive and perseverance. The Blacklist – I always need a good crime drama in my life. Since I’ve watched basically every episode of SVU and Criminal Minds, I moved on to the delightful acting chops of James Spader. This show is good, really good and is chock full of action, romance and mystery. Psych – This is a throwback, but if you’re a fan like me, you know that Psych the Movie is coming out this Christmas! I’ve never seen a show that fits so many cultural references, comedic jokes and wit into one episode. American Ninja Warrior – Who doesn’t want to be inspired by amazingly fit, good looking people? You get caught up in the competition, hoping for them to just complete the next obstacle. Riverdale – I must warn you, this show is heavier than the others on the list. With so much drama, mystery and teenage sexual tension it’s like Gossip Girl set in a small rural town. This show will satisfy your high school drama needs. Plus the cast are all friends in real life and it’s really cute. The OA – This Netflix original is confusing and weird, but so addicting. We couldn’t stop watching the first season and are pumped for the second season release. This show contains a good dose of reality packed into a supernatural drama. The Office – This is never a bad choice. Ever. Michael, Dwight and Jim can always make your life a little more funny. Enjoy this half hour show in increments or all at once. Thanks to my roommate and brother for helping me with this list. Let me know what you’re watching this summer in the comments below! Friendships are a tricky avenue of life. They ebb and flow, they grow strong, they break, they dissolve. Friends keep you on your toes. They make you think outside the box. Friends entertain, thrill, admonish and encourage. Recently, I’ve moved to a brand new city for a job. People move time and time again, but I didn’t realize how different and perhaps lonely a new city could be. Now, I am extremely grateful to Jesus for bringing my college roommate and I together again in this new town. The housing hunt, move and day – to – day would be more difficult with someone I didn’t know. For all of you out there in the same situation as me (a tad lonely, homesick and anxious) I have a few tidbits of hope for you. This isn’t a how – to list or a city guide, but a list of a few Bible verses about loneliness and friendship that can help you put this new stage of life into perspective. Colossians 3: 12 – 14 – Therefore, as God’s chosen people, holy and dearly loved, clothe yourselves with compassion, kindness, humility, gentleness and patience. Bear with each other and forgive one another if any of you has a grievance against someone. Forgive as the Lord forgave you. And over all these virtues put on love, which binds them all together in perfect unity. Proverbs 12:26 – The righteous choose their friends carefully, but the way of the wicked leads them astray. Psalm 25:16-17 – Turn to me and be gracious to me, for I am lonely and afflicted. Relieve the troubles of my heart and free me from my anguish. May God bless you my friends in your time of need. May He lift up your spirit and encourage your heart. Feel free to comment below with any insights!